SAN FRANCISCO — When Facebook employees woke up on Wednesday morning, many found they could not perform even the most basic work tasks. That’s because those features run on Facebook’s internal, custom-built iPhone apps — and Apple had shut them all down, according to nine current and former employees of the companies, who requested anonymity because they were not authorized to speak publicly. Late Thursday, Apple relented and restored Facebook’s access. Yet the episode was a stark reminder of where the power really lies in the technology world. While Facebook is the world’s biggest social network, Apple controls the distribution of apps — including Facebook’s — on its phones. That power is a longstanding concern for Mark Zuckerberg, Facebook’s founder and chief executive, making his company beholden to the rules of others. The spat underscored the tensions between two of Silicon Valley’s largest tech companies, which have competed for years over talent and new technologies. 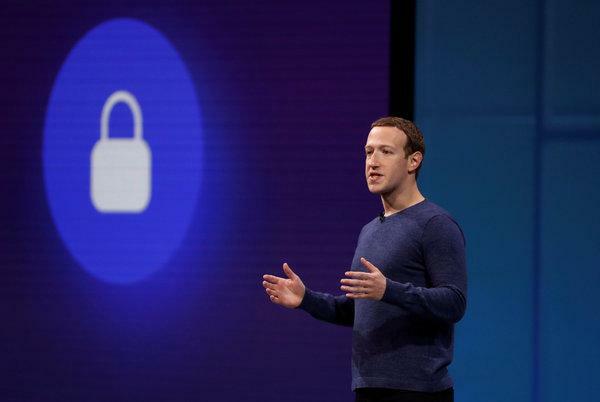 Recently, each has taken potshots at the other over data privacy, with Apple’s chief executive, Timothy D. Cook, trading slights with Mr. Zuckerberg in interviews. Facebook also worked last year with a public-relations firm, Definers Public Affairs, to urge reporters to scrutinize Apple and other tech companies. And Apple has made changes to some of its tech features that limit the ability of Facebook and others to track users. In an interview on Wednesday, Sheryl Sandberg, Facebook’s chief operating officer, said of the dispute with Apple, “Obviously we want to be in full compliance with all of our partners.” She added that the Facebook research app at issue hadn’t been a secret and had been operated only with its users’ consent. Apple also briefly demonstrated its power on Thursday with another Silicon Valley giant, Google. Like Facebook, Google had violated Apple’s rules by publicly distributing an app, Screenwise Meter, through a special Apple developer program. The internet search company said some of its internal apps that run on iPhone software were temporarily disrupted. Two Google employees, who declined to be identified because they were not allowed to speak publicly on the matter, said iPhone apps for internal services like hailing a bus or viewing cafeteria information were not working. In addition, apps testing unreleased updates of Google products such as Gmail and Google Maps were unavailable, these people said. The disruptions were earlier reported by the technology website The Verge. That gave Mr. Zuckerberg, who colleagues have said was highly dependent on the data, the foresight to try to buy Snapchat long before it went public. Although that effort failed, Facebook has built products, like live video streams and group video chat, based on information gleaned from Onavo’s app.